Recently, I decided to satisfy my curiosity and try these "tomato berries"—Cape gooseberries, to be specific—and I can't believe I've put them off for so long. Cape gooseberries, also known as goldenberries, are definitely not tomatoes (or a science experiment! ), but a citrus-like berry unlike any other. Bonus fact: these berries are packed with a ton of antioxidants. Yeah, that's right, blueberries... get outta here. So here's a little more about this tasty fruit, as well as how you can incorporate them into your favorite recipes. What's a Cape Gooseberry, You Ask? Cape gooseberries are bright, yellow-orange berries that wear a papery husk or "cape." (It wouldn't be a superfood if it weren't wearing a cape, am I right?) 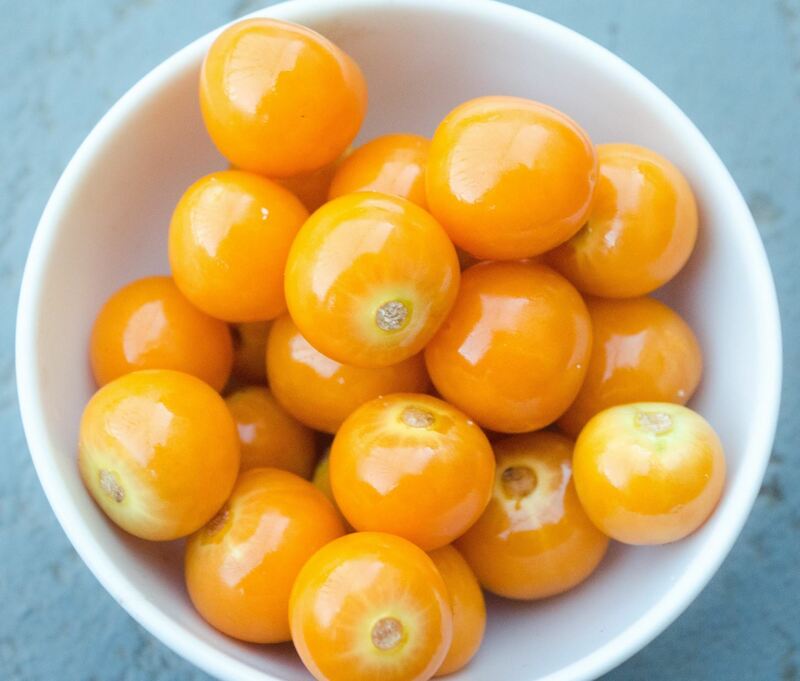 The berries are small and round, like marbles with a waxy skin, and the inside of a Cape gooseberry is juicy and pulpy, with little yellow seeds. While this fruit is called a "gooseberry," that's not technically correct since it not closely related to any other gooseberries. That's why some prefer to say goldenberry, Pichuberry (since the berries come from Peru), or just Physalis (after its scientific name, Physalis peruviana). According to Goldenberry: Golden Fruit of Golden Future, a publication by Dr. Mohamed Hassanien, Cape gooseberries have a root system like a tomato. The California Rare Fruit Growers Inc. (CRFG) also state that the Cape gooseberry species is related to groundcherries and tomatillos. So the big question is: do the berries taste like tomatoes and tomatillos? Well... yes and no. Cape gooseberries are acidic like a tomato, but also sweet like a peach. Lindsay-Jean Hard of Food 52 explained that Cape gooseberries are so complex in flavor that they are a mega-hybrid of a strawberry, tomato, mango, pineapple, grape, and more. Whew, that's a mouthful. More Antioxidants Than Blueberries!? No Way! Blueberries have always been crowned king of antioxidants, but does another berry secretly deserve to wear the crown and carry the sword? 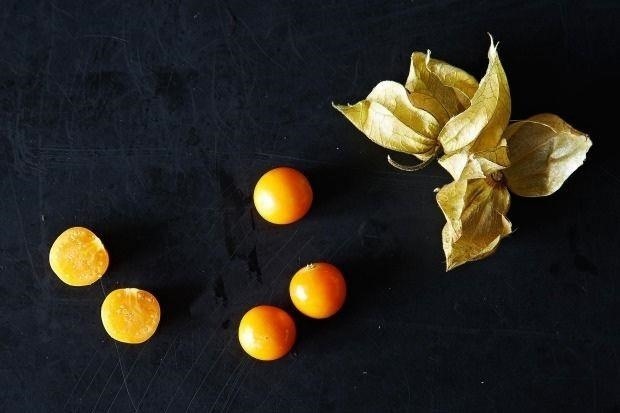 What to Make with Cape Gooseberries? A berry this complex in flavor and nutrients can make your head spin with questions: What do I make with it? What ingredients does it pair with? Should it go in something sweet or savory? Sure, they're not on the same level of 'what is the meaning of life' questions, but they still pose a bit of a challenge for the everyday cook or baker. Well, Cape gooseberries are most known for being an ingredient used for salsa, chutneys, and jams—chunky sauce stuff, check. 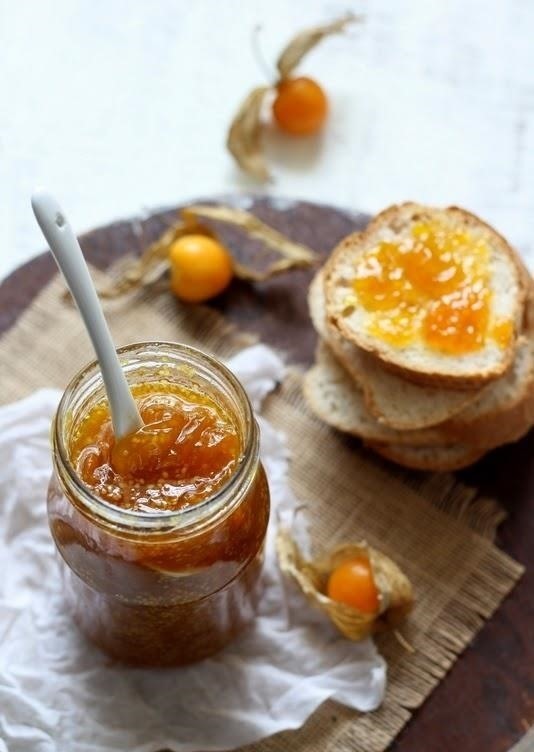 Easy Food Smith has an awesome recipe for a sweet and simple Cape gooseberry jam I'd recommend any day. Meanwhile, the internet—which has just about every berry recipe you can cram down your throat—falls quite short when it comes to Cape gooseberries. To further investigate whether or not Cape gooseberries work with typical berry baking recipes, I conducted a baking experiment of my own. At best, I would have a delicious baked good at my disposal. 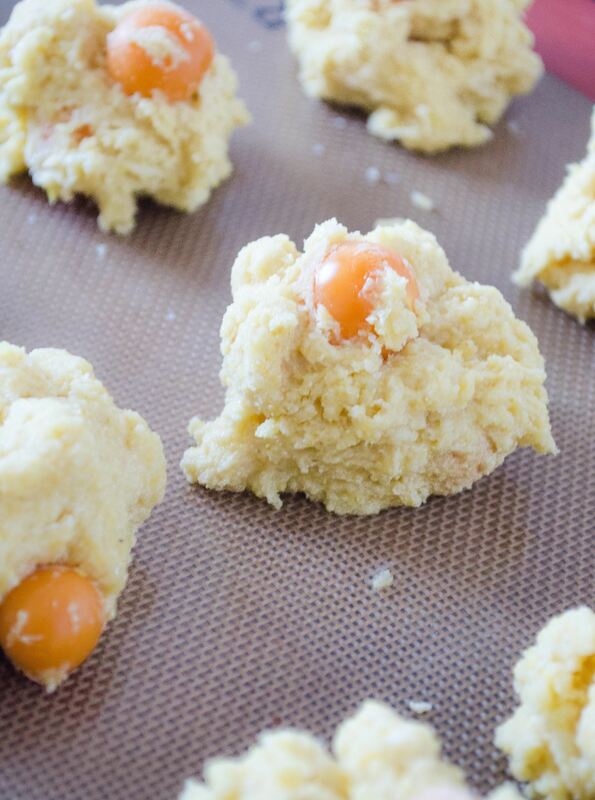 I decided on Cape gooseberry scones, because who doesn't love a good scone? The scones were made using a recipe for cornmeal blueberry scones by Better Homes and Gardens. I simply subbed the blueberries out for perfectly ripe Cape gooseberries. Please note that I used lemon zest and lemon juice in place of the lime in the recipe. These scones were made according to the steps in the recipe. They were mixed in one bowl—making cleanup a snap—and only took about 10 minutes to put together. I decided to keep the Cape gooseberries whole, but you're welcome to slice them in half before adding them to the dough. I also did that thing everyone's mother tells them not to do and tasted the dough. (I laugh in the face of salmonella! Obviously not saying it's okay for everyone else, but I like to live on the edge.) To tell you the truth, I probably took more than just a taste because it was that good. After consuming a fair portion of scone dough, I cut myself off and baked up the rest. Once they were baked up and golden, the taste test was on. Three of my wonderful taste testers raved about how bright and flavorful the scones were. I completely agree; It was so refreshing to have a scone livened up with a surprising new flavor. I must admit, I was a little worried about how acidic these scones would be since I combined a tart berry with zest of a lemon. But, as it turns out, lemon pairs great with Cape gooseberries. These scones were so damn tasty that I don't know why I ever doubted their compatibility! 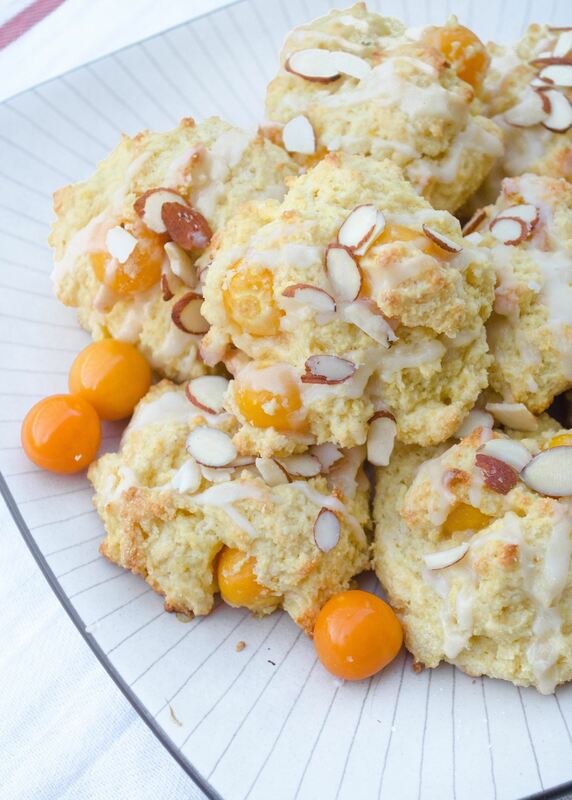 So to answer the question "Can Cape gooseberries be used in baked goods? "—Hell yeah they can! As long as the Cape gooseberries you are using are ripe, they can definitely be used in sweet baked goods—and subbed for a 1:1 ratio in your favorite berry recipes. If you're tired of the same, boring ol' berry cobbler, pie, or muffin... wake up your tastebuds with some Cape gooseberry goodness. Have No Fear, Cape Gooseberries Are Here! Cape gooseberries are an incredible fruit—not only do they have a complex, amazing flavor, but they've also got antioxidants for days. Plus, they're harvested with a cape... so they're here to rescue you from boring recipes, if you're willing to give them a try. 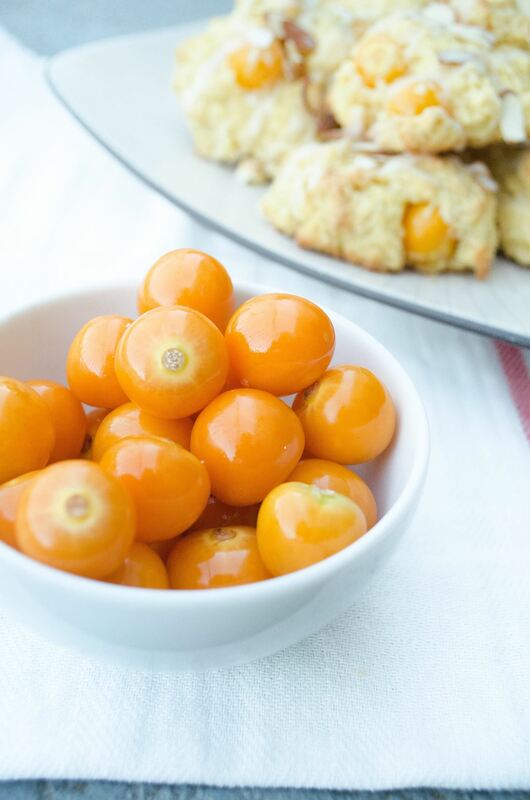 Let us know if you try Cape gooseberries and how you prepared them by commenting below!